How often do you find yourself reaching into the freezer for a microwave or oven ready meal? Chances are those meals aren’t very good for your health or your budget. Here’s how to meal prep for a week and substantially eliminate food waste. So, why do we default to choosing those pre-made meals so much when some people can so naturally always seem to have healthy, homemade meals ready to go? The difference is meal prep. If you don’t take time out of your day to prep meals, as soon as those busy days roll into evenings when you just don’t have the energy to make a wholesome meal, you will likely be reaching for those tempting premade store-bought meals. If you have a busy life, I’m sure you understand when I say that sometimes there just aren’t enough hours in a day to get all your daily tasks done without having the weight of having to think of and make something for supper, too. 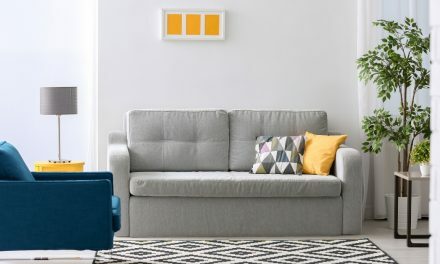 So, what can you do when you’re exhausted from a long day of work and are tempted to just sit the kids down with a movie and a TV dinner and go hide away in your room? That’s when meal prep comes into play, and those are the very days when you will be so thankful you took a few extra minutes last week to prepare this week’s meals, so you can still get a homemade, healthy dinner on the table for your family – and you can get it done in under an hour. I’m all about preparing. I like to have things laid out and ready so I’m not scrambling for a quick dinner idea on a busy day. 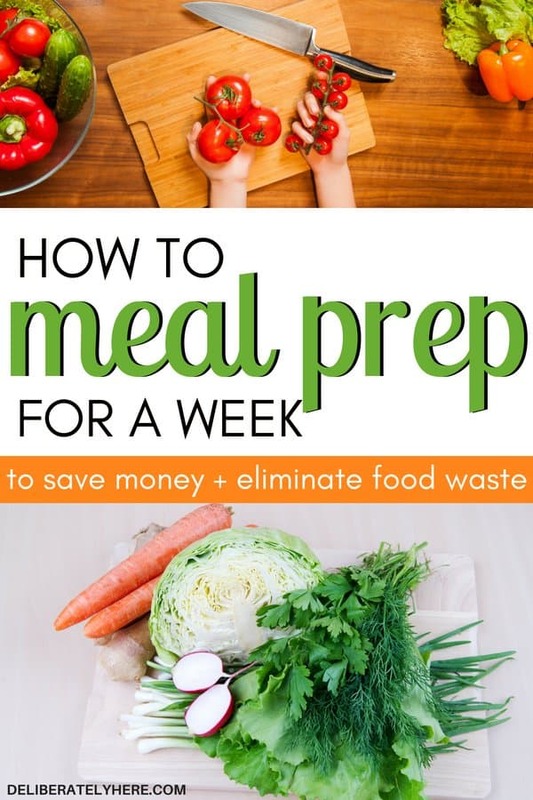 If you’re ready to eliminate the overwhelming feeling you get when you realize it’s 5 o’clock and you haven’t even had enough time in your day to stop and think about supper, below are some great tips on how to meal prep for a week to eliminate food waste. Food waste is something that, no matter how much you try to avoid it, happens. It may happen just occasionally in your house, or maybe you find it happening more and more lately. Food waste comes from making too much food, then not using up the leftovers before they go bad. I love to cook and I have troubles portioning things right. That mixed together used to end up in us wasting a lot more food than we should have been. Because of my love of cooking, I wanted to cook something new every night, so I didn’t want to just pre-heat leftovers. Making something new every night would be okay if I knew how to portion my husband’s and my meals properly. Instead, I would make way more than enough food for the two of us, because my mentality was that too much is better than not enough (which is an okay mentality – except when you make enough to feed an army, just to make sure you have enough). Your first step in meal prepping is figuring out how much food you need to make. If you’re making food for two people, you’ll likely have to look harder to find meals that feed just two people without too much leftover. Most recipes are made to feed 4+ people, so if you’re only making food for two people, you’ll have to halve a lot of your recipes. If you have a big family that you make food for, you’ll have to figure out about how much gets eaten at a dinner and make sure you aren’t making way more than is needed. Leftovers are good, especially if you aren’t huge on cooking and would much rather make a big meal and create several other dinners out of that one meal throughout the week. The key here is knowing if your leftovers are going to get eaten up, or if they are going to get shoved to the back of the fridge and forgotten about until they’re moldy. If you are making something that you want to make a couple different meals out of – don’t be afraid to make a big batch, but ensure that it gets eaten within a few days, if it’s not going to get eaten in time you can always freeze it for a quick meal later on. 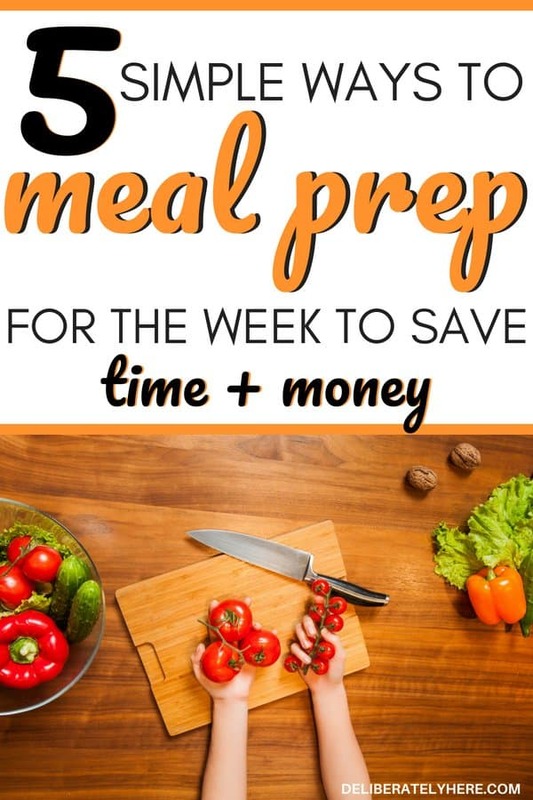 The next step you will take in learning how to meal prep for a week is making a meal plan. This will allow you to know what meals you will be making on what nights of the week, and will allow you to actually prep your meals ahead of time. The easiest way to plan a menu for your week is to search through recipe books or online and find 5 to 7 different dinner ideas that you and your family would enjoy. Then, you will have to create somewhere to write your meal plan, so you can remember what you’re eating that week. You can find free meal planner templates here, or you can create your own. When you are creating your meal plan for the week, remember to include leftovers into the meal plan. If you are making a dish that you know will have enough leftovers to feed you another meal, use this meal for two dinners this week, or make plans to freeze the leftovers. You have to make plans for your leftovers, or else they can just get stuffed to the back of the fridge and forgotten about until they’re letting off a terrible smell. Once you’ve completed your menu, it’s time to create a shopping list for your week of meals. Once you’ve figured out where you are going to write down your meals for the week, and you’ve figured out which meals you will be having, it’s time to find the recipes for those meals and create a shopping list. Creating a shopping list for the week is vital when you’re learning how to meal prep for the week. If you don’t know where to start with your shopping list, start by looking over each and every recipe that you will be using during the course of the week and put all the ingredients that you don’t already have at home on your list, it’s really as simple as that. It substantially cuts down on the amount of time I need to spend in the grocery store. 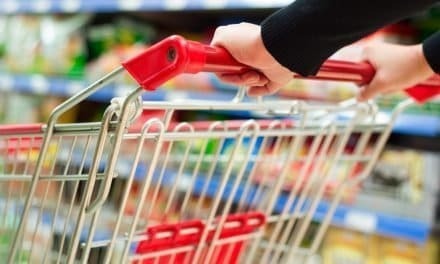 When I shop with my grocery list I know exactly what part of the store and which aisles I need to go down, and I can avoid the aisles that I don’t need. It saves you a ton of money. By shopping with a grocery list I find I save so much more money than when I go shopping without a list. When I am without my list I find myself wandering all over the store, and grabbing items just in case we need them. Whereas when I have my list, I know exactly what items we actually need, and I don’t need to waste my money on things that we don’t need. To meal prep for a week, you will have to create time in your schedule on a certain day each week that is dedicated purely to meal prep. This might sound overwhelming and not fun at all, and you might even be thinking that if you don’t have time to make supper in your day you certainly don’t have time to set aside to plan supper for a week, but I assure you that on those busy nights you are going to be so thankful you took an hour out of your day to meal prep for the week. It’s finally time to start prepping your meals. 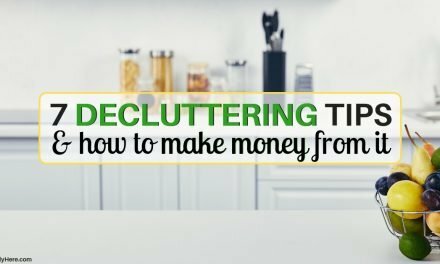 You’ve figured out how much food you need, whether or not you will be cutting recipes in half, if you’ll be eating the leftovers later in the week, or if you’ll be freezing the leftovers. 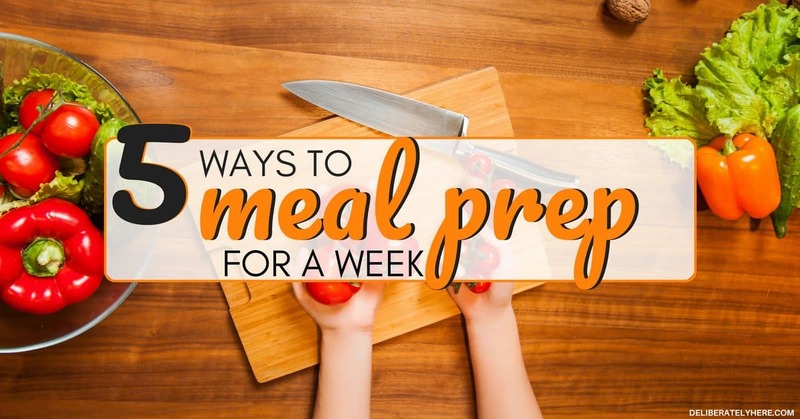 You’ve figured out what meals you’ll be having what weeks, and you’ve created a shopping list to go with your meal plan, and lastly, you have cleared an hour or two in your calendar on a specific day of the week to plan and prep your meals. Now it’s time to start the prep work. Once you’ve got all the ingredients that you need, you can set out and start prepping your meals. Start with prepping one meal at a time, and once that one is prepped move to the next meal on your menu. Trying to get 5 meals completed at once can be stressful and overwhelming, and may also result in the wrong ingredients getting put into dishes. To eliminate that and keep things straight, focus on prepping one meal at a time. Learning how to meal prep for a week doesn’t have to be difficult or overwhelming, and can end up saving you mounds and mounds of time in the kitchen. You will be especially grateful you have started meal prepping ahead of time for your weeks on those busy weeknights when you’re tempted to reach into the freezer for a quick, unhealthy meal. 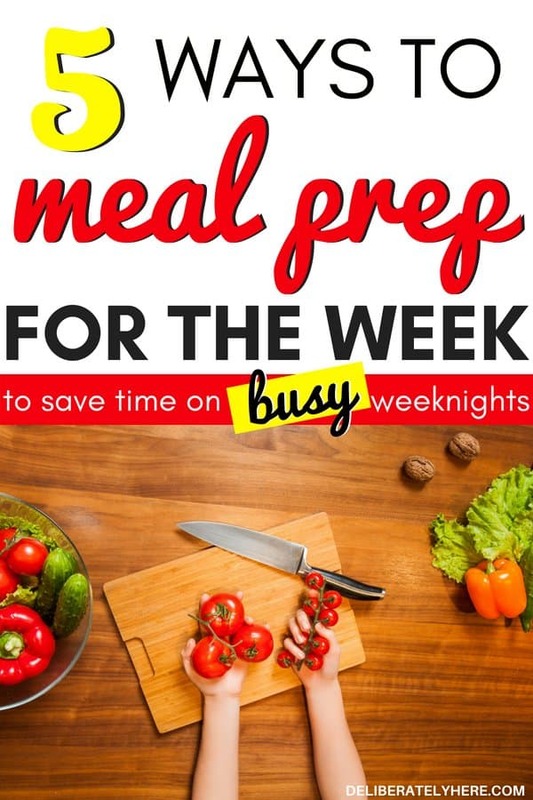 Now on those busy weeknights you will be able to throw together a delicious and healthy home-cooked meal in under an hour because you did all the hard work ahead of time. Are you anxious to start meal prepping for your week? Go ahead and get started by following these simple steps. If you’re already a meal prepper, I would love to hear your secrets on how to meal prep for a week.